She wrote the best-seller The Orchid Thief (which was made into a wonderfully strange movie called Adaptation starring Nicolas Cage). And her next full-length book will finally be released in October — though you can pre-order it on Amazon now. But just a few days ago, Susan Orlean came to Amazon’s Kindle Store with a brand new piece of writing that’s available right now. It’s apparently a Kindle exclusive — an essay about animals that she’s releasing as a short “Kindle Single” e-book, as a kind of a preview for her upcoming book! It’s not just that we both love dogs — but I did know as far back as 2006 that Orlean’s next book would be about Rin Tin Tin. (It was World War I when an American soldier in an abandoned French village had first found that shell-shocked puppy cowering in the rubble.) He’d scooped the dog up, and brought it back to the United States with him — and eventually Rin Tin Tin was discovered by several movie producers. It’s a wonderful story, so I wasn’t surprised that Orleans wanted to re-visit that Hollywood legend, as a way of discussing people who love animals — and their role in our culture. But in both the Kindle Single and the upcoming book, Orleans seems to be applying the same combination that she used in The Orchid Thief: lots of exotic research and some carefully-crafted literary writing. “Susan Orlean has produced a hugely entertaining and unforgettable reading experience,” wrote one reviewer about an advance copy of the book. (And he added, “I was astonished to learn from this delightful book that he has existed for eleven generations over a century!”) In fact according to Wikipedia, early in his career Rin Tin Tin appeared in one movie that may have saved Warner Brothers from bankruptcy in 1924. But Orleans weaves her historical trivia with some great personal animal stories of her own. But it’s not just lions. She’s had every kind of pet from the usual dogs and cats to more unusual animals like chickens, cattle, turkeys, and guinea fowl. (“With guest appearances by horses, lions, and canaries,” notes the product description at Amazon.com of her Kindle Single.) Orleans has written for some of the top magazines in America, including The New Yorker, Esquire, Rolling Stone, and even Vogue — so she’s having a brilliant literary career. So I’m really impressed that Amazon.com was able to negotiate the opportunity to sell an original piece of her writing. 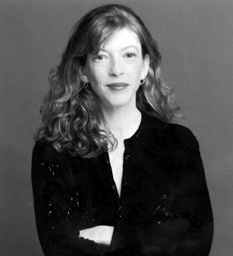 What’s my personal connection to Susan Orlean? It’s a story that I’ve never told before, but I once got an e-mail from the Orchid Thief. Orleans’ book included the profile of a wily rascal in Florida who poached rare (and valuable) orchids from a Florida swampland. As I read Orleans’ book, I followed the story of John LaRoche from one scheme to the next — and towards the end of the book, Orleans reveals that he’d moved on to a new online business. That’s when I remembered that I’d met a John LaRoche online back in 1995 — and that he’d been using the same nickname that Orleans mentioned in the book! Back then we’d all wondered if he was crazy. He’d stormed into an online newsgroup in 1995, posting wisecracks (and making fun of newbies), and acting like he owned the place already. (“Cattle are so easy to please….” he posted derisively when someone praised their ISP’s customer service.) If I remember correctly, he was starting his own internet business — tonight I found an old e-mail from 1995 where I wished him luck. And eventually he’d written back to me that instead he’d sold the rights to his life story, and they were going to make a movie about it in Hollywood. I still have the e-mail he sent me about it, 16 years ago this month. I didn’t believe a word of it, and I instantly forgot all about him — until I started reading The Orchid Thief! And that same weekend they held the Oscar ceremonies — and the actor who’d played him won an Oscar. 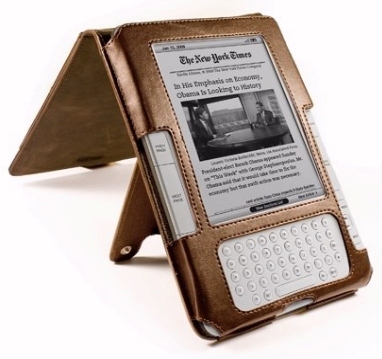 Is Amazon Planning a “Mini” Kindle?